One of the best features about using Soft Tokens or Time-based One Time Passwords (TOTP) for authentication is that they are available offline. The European Payment Services Directive (PSD2) regulation requires Strong Customer Authentication (SCA) for all transactions over €30 by September 2019. Part of the regulation requires that SCA ties transaction-specific information to the authentication, called Dynamic Linking. This post will show you how to use a new feature of the Authy API and application to implement a compliant offline solution for your application. For more detail on PSD2, SCA, and dynamic linking, check out this post. You can also build SCA with push authorization or SMS, which we show in this blog post. An Authy Application which you can create in the Twilio console. 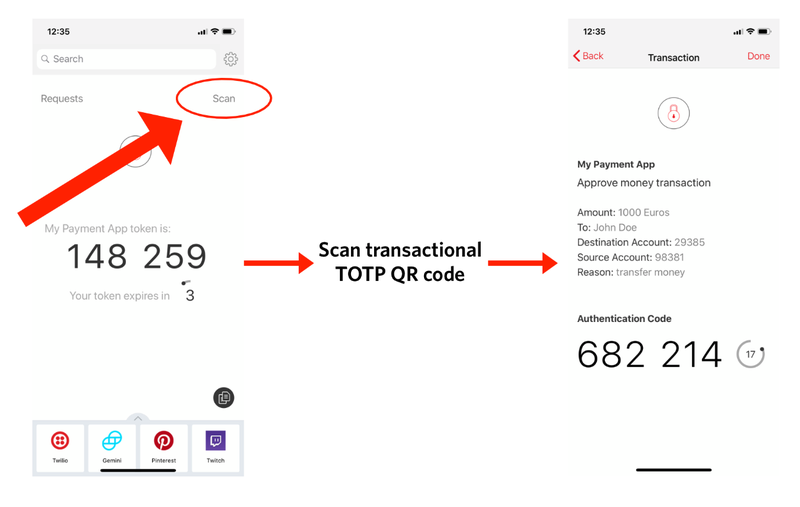 I named mine "Example Transactional TOTP"
From 14th September 2019, millions of European consumers will experience a change in the way they complete online payments. A new European banking law, PSD2, will mandate a stronger form of two-factor authentication (2FA) for all online and over-the-phone payments. This extra layer of friction will impact conversion and sales for online businesses. Twilio has been hard at work to help businesses navigate this massive change and minimize impact. We’ve updated both the Authy API and our free Authy app to help you meet all the requirements of Strong Customer Authentication (SCA) and be PSD2-compliant. Both the payment amount and recipient must be made clear to the payer when authenticating. 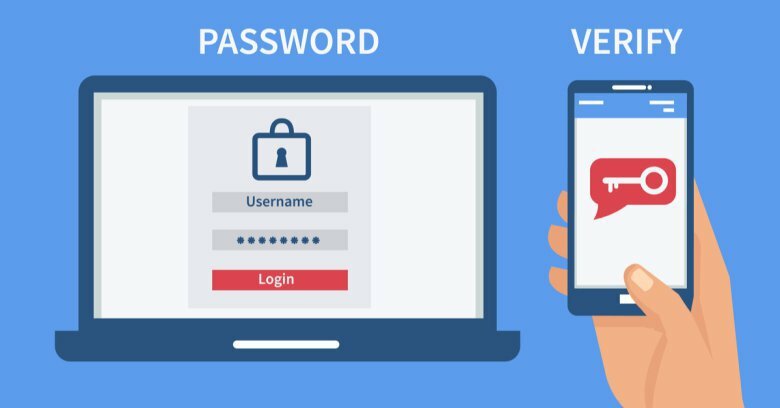 Two-Factor Authentication (2FA) provides web applications with an important additional layer of security, but 2FA requires the user to perform an additional action each time they log in. This extra step can be wearying for users who sign into an application frequently. Is it possible to maintain the security provided by a second factor while making an application convenient for repeat visitors? It is with Angular, Node.js, and Twilio Authy. Implementing a “remember me” checkbox on the login page is a convenient way for a user to indicate they are going to be a repeat visitor. Behind the scenes, an encrypted security cookie is a convenient mechanism for identifying a user who has previously checked the “remember me” box and logged in successfully from a specific machine. Web applications often have secure login systems—maybe even 2FA—but what happens when a customer calls the customer support phone number? Security teams and app developers have thought a lot about online authentication, but haven't applied the same rigor to designing systems for authenticating over the phone. 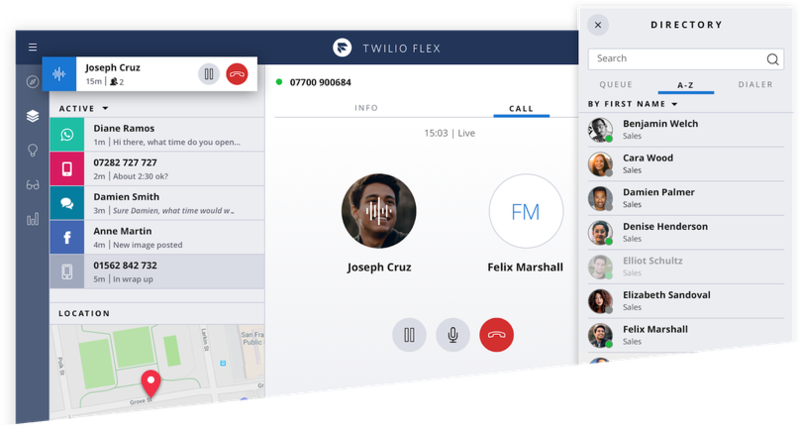 At Twilio, product and engineering teams have spent the last year thinking about this problem and how to make the experience better for both the customer and the call center agent. In that time, I've called dozens of contact centers to learn about how everyone from startups to Fortune 50 companies attempt to identify and authenticate the end user. This post will take a look at that research and outline best practices to use in call centers. The European Payment Services Directive (PSD2) regulation requires Strong Customer Authentication (SCA) for all transactions over €30 by September 2019. This post will show you how to implement a compliant solution for your application. For more detail on PSD2, SCA, and dynamic linking, check out this post. This is the second of a three-part series of posts detailing PSD2: Strong Customer Authentication in the EU (SCA). In the first part of this series, we looked into PSD2’s requirements for dynamic linking, and established that Two-Factor Authentication (2FA) can be used for Strong Customer Authentication (SCA). 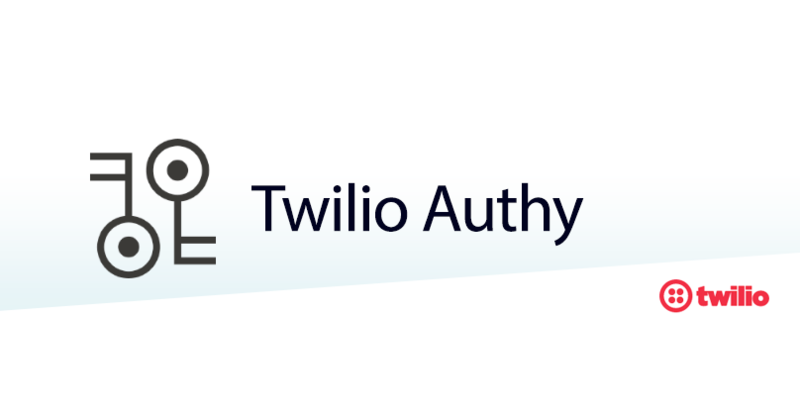 In this piece, we’ll look at the different types of 2FA you can use with Twilio’s Authy API and how it can help you meet dynamic linking requirements. User authentication is a crucial requirement for many Angular applications and simply logging in with user ID and password is increasingly inadequate security. Two-Factor Authentication (2FA) provides device-based security that is substantially more difficult to hack, but building your own 2FA system is a daunting challenge. Twilio Authy makes it easy to add 2FA to Angular apps. This post will show you how to add Authy to your Angular project. You’ll also learn how to improve the user’s experience and your app’s security by using Angular Universal to implement the login process. When using SMS to verify a phone number or for two-factor authentication, it’s essential that the message successfully gets to the intended user, without delay, in order to maximize conversion. However, there are a lot of variables in ensuring reliable and fast delivery of messages globally. Some routes are faster than others, while certain destinations only allow messages from specific kinds of numbers, and carriers will often filter repeated messages, thinking they’re spam. Because configuring efficient and reliable SMS delivery can be complex, and will likely require constant maintenance, Twilio offers two pre-built APIs, Verify and Authy, which spare developers the hassle of trying to making sure your verification and authentication SMS messages get to their intended recipients quickly and consistently. From TLS to authentication, “crypto” is used for a lot more than just currencies. In 2018, security should be part of every developer's toolkit and cryptography a fundamental building block for the libraries and tools we use to protect our data and applications. This post will dive into modern cryptography, an overview of how it works, and its everyday use cases — including how Twilio uses public-key crypto in our Authy application and to secure our API. Let's start with some context and history.